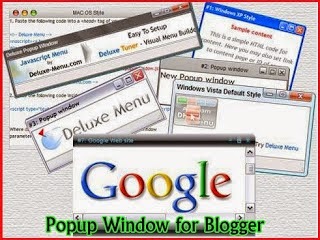 Dear Today I share an awesome tips for blogger or newbie who want to create popup window or ads code for your blogger blogs.It is a so much important for blogger because you can increasing visitors from one blog to another blog besides increasing your earning and page view. How to create popup window for blogger? >> Just change your website url and if you want to change size your expected Pop Up Ad you can change it according to you0r needs. Thanks everybody, have a nice day. If you face problems drop your comment below comment box.